Things we’re finding out in the course of our research. 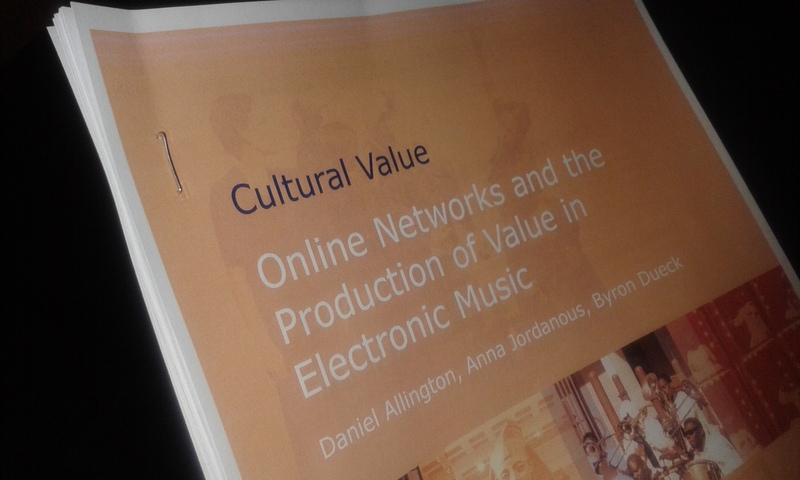 The first peer-reviewed journal article arising from the Valuing Electronic Music project has now been published in Cultural Trends as part of a special issue on empirical research into cultural value guest-edited by Dave O’Brien. It focuses on a key finding of the project: even though musicians can now distribute their music for free via the internet, their real-world location remains hugely important. Through qualitative research, we found that electronic musicians in London (a) considered themselves to benefit from being based in that city, and (b) considered a particular part of that city (the highly gentrified, ‘hipsterish’ district of Shoreditch and its immediate surroundings) to be particularly advantageous for less commercial kinds of music. 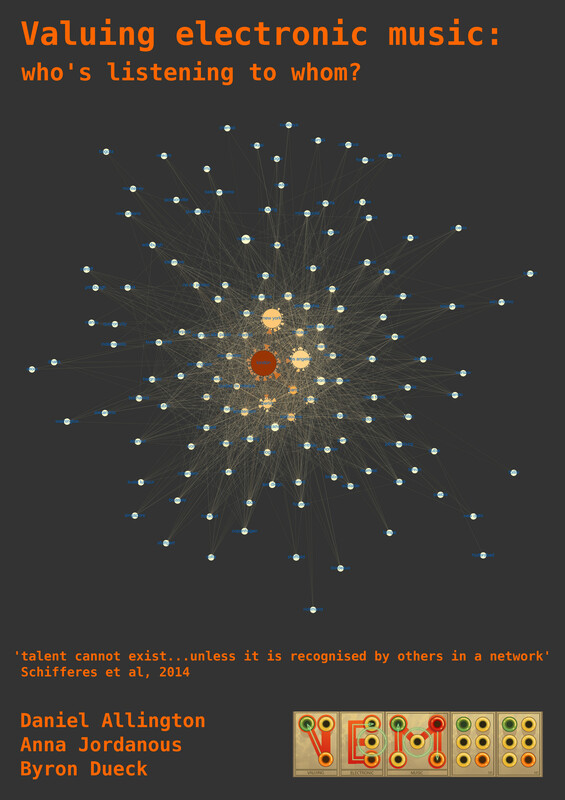 Through quantitative research, we found SoundCloud users based in London to occupy a position at the centre of a network of ‘following’ relationships in which the next best locations appeared to be New York and Los Angeles. 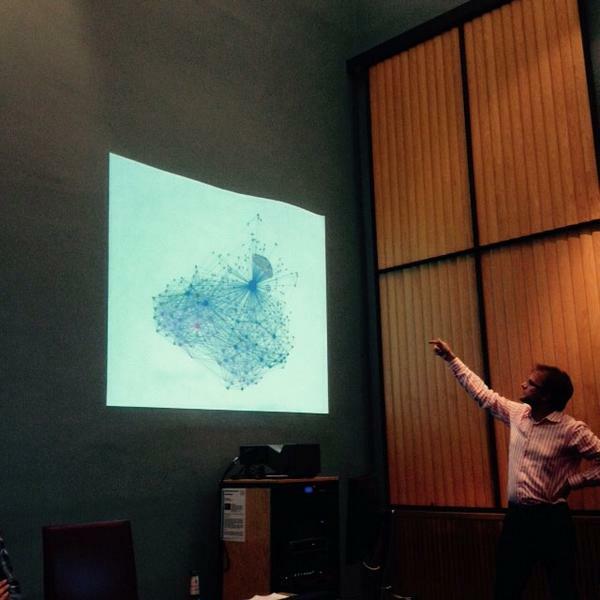 Our findings are consistent with the view that the 21st century ‘new media’ produce similar exclusions to the ‘big media’ of the 20th century and do not create anything resembling a level playing field between signed and unsigned artists, provincial and metropolitan scenes, or the developed and the developing world. The article is open access so please download the full text to read for yourself. 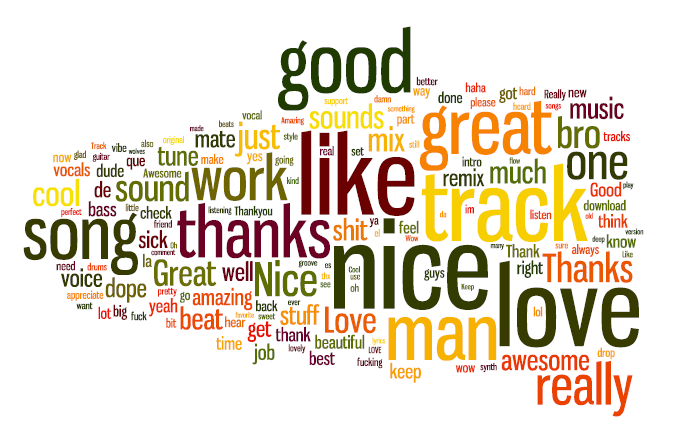 Valuing electronic music: who’s listening to whom? Small version of the poster I put together for today’s pop-up research event at the Open University. 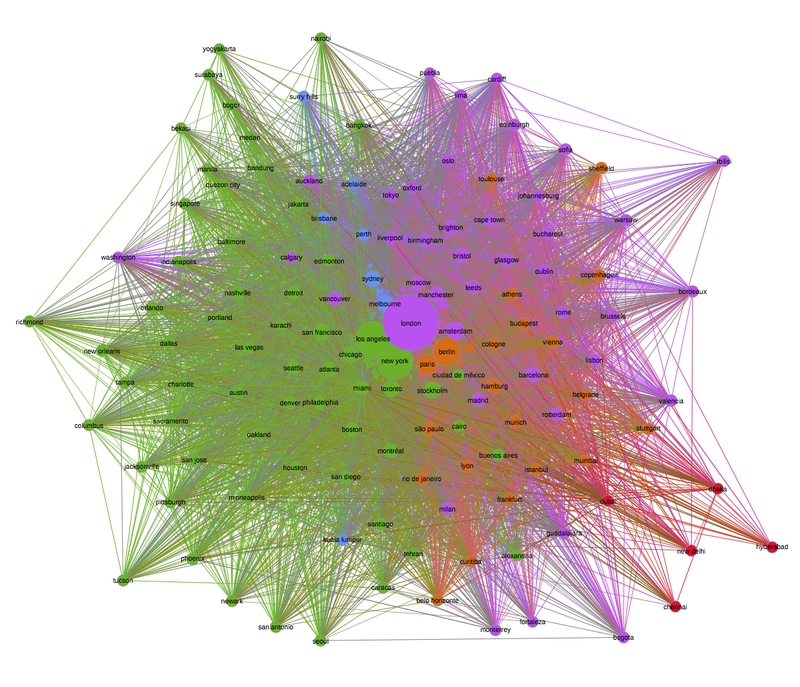 Node size indicates total number of followers for SoundCloud users based in each city; arrows indicate where those followers come from (so far as we can tell); node colour indicates centrality to the network of these relationships (by eigenvector centrality). If you want more technical details, read last September’s post. Those who were able to attend our live event at the Lexington on 6 June 2014 were privileged to hear a typically engaging and thought-provoking presentation from leading ethnographer of electronic dance music, Luis-Manuel Garcia. In it, Luis explored what he called the ‘particular form of togetherness that happens at electronic music events’, which he related to the areas investigated by the Valuing Electronic Music project. Like all the talks and performances of the night, Luis’s presentation was recorded – and now it’s available for view.